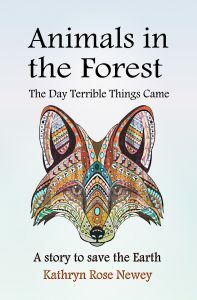 Animals in the Forest: The Day Terrible Things Came is much more than just a story from the animals’ point of view. It’s also “a story to save the Earth”! But how does one story save the Earth, you ask? The story itself is about an increasingly concerning environmental issue – humans ‘developing’ land where wild animals live. 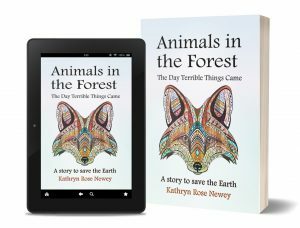 But more than that, the main characters in the story have been specifically included to honour, and stand in solidarity with, certain young environmental activists, defenders and protectors, indigenous tribes, and places where people fought and continue to fight for rights to land, and clean air and water. All of those honoured are listed at the back of the book, again with website links for further research. See the list below. Balcombe anti-drilling community groups, Balcombe, Sussex, UK. Barton Moss anti-fracking protection camps and community, Barton Moss, Salford, Manchester, UK. Bentley anti-drilling blockade communities, Bentley, New South Wales, Australia. Dakota water protectors, indigenous tribes and activists against Dakota Access Pipe Line (#noDAPL), Standing Rock, Dakota, USA. Read more about it here. Flint communities affected by water pollution, Flint, Michigan, USA. Moxateteu tribespeople (one of the last uncontacted tribes), part of the Yanomami tribespeople living in the Amazon rainforests, Brazil and Venezuela. Ridhima Pandey, a 9 year old girl and young environmental activist, who has filed a legal case against the Indian government for failing to protect the environment, India. Whanganui River and its protectors, the Whanganui iwi/tribespeople – the river has, after a legal battle, been accorded the same legal status as people, North Island, New Zealand. Xiuhtezcatl Martinez, a teenage/young environmental activist and Youth Director of EarthGuardians, and part of a group of 21 youths who have filed a legal case against the USA government and various fossil fuel groups for failing to protect the environment, USA. 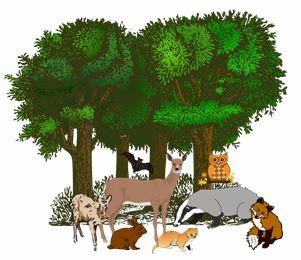 ‘Animals in the Forest’ Paperback and e-Book now available! New Children’s Sci-Fi Story with a Difference!